Shop online for 84 jv model trains. Buildings is the most popular of the 6 jv model trains categories, then Bridge-Trestle-Girder, and Parts. 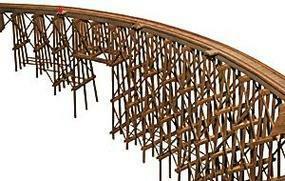 This is the O Scale Curved Wood Trestle Wood Kit from JV Models. 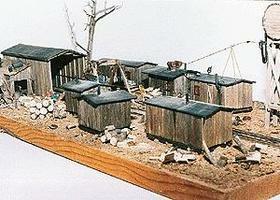 This is the Boyd Logging Camp Wood Kit (3-3/4 x 6-3/8'' 9.5 x 16.2cm) from JV Models. This is the O Scale 60,000-Gallon Branchline Water Tower Kit (Scale 22 x 42') from JV Models. 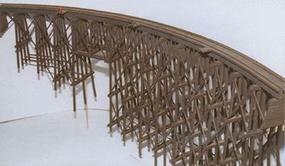 This is the HO Scale Curved Wood Trestle Kit (36 x 16'') from JV Models. This is the N Scale Lucas Sawmill (3-3/4 x 7-1/8'' 9.3 x 17.7cm) from JV Models. 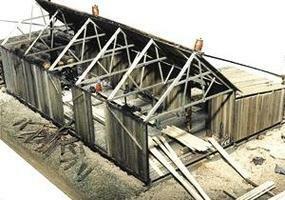 This is the HO Scale Burnt River Mining Company Wood Kit (Scale 15 x 53') from JV Models. This is the N Scale Burnt River Mining Co. (1-1/8 x 1-3/4'' 2.9 x 4.5cm) from JV Models. This is the N Scale Curved Wood Trestle Kit from JV Models. 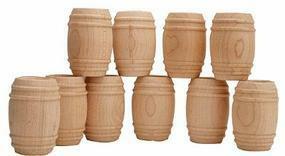 This is the HO Scale Wooden Farm Silo (Scale 18 x 44') from JV Models. This is the O Scale Boyd Logging Camp Kit (Scale 50 x 84') from JV Models. This is the HO Scale Boyd Logging Camp Kit (Scale 50 x 85') from JV Models. This is a kit of the O Scale Burnt River Mine Company Kit from JV Models. This is the N Scale Ward's Salvage Co. from JV Models.